Who's winning the big one at the Producers Guild of America Awards this year? This Saturday is the 30th Producers Guild of America Awards, and in the history of this award, 20 of the 29 years they have correctly predicted Best Picture. Of the nine times they’ve not matched up, two of them have been in the last five years: The Big Short over Spotlight in 2016 and La La Land over Moonlight in 2017, but they were right back on track with last year’s tricky race with The Shape of Water. Now we’ve entered another tricky year, and one that’s more open than ever. For me, I have four of the ten nominated films in the “possible winners” column. A Quiet Place, Black Panther, BlacKkKlansman, Bohemian Rhapsody, Crazy Rich Asians, and Vice should all be happy for their nominations, but I don’t think they have it in them to win. That leaves The Favourite, A Star is Born, Roma, and Green Book to decide who wins the race. Unlike last year, where we had arguably a three-way-race between Three Billboards outside Ebbing, Missouri, Lady Bird, and the winner Shape of Water, there was a tendency that PGA wasn’t going to fully determine the Best Picture race. In other words, the loser last year could still have won Best Picture. I don’t think this year stands in the same way. Basically, it comes down to this: whoever wins Saturday is, for the moment, going to take over for me for my predictions for Best Picture. Obviously, something drastic could happen at the remaining awards, like the Screen Actors Guild, Directors Guild, Writers Guild, and the BAFTAs. So there is some wiggle room, but the way this year’s gone, I’m going to stick with PGA until I see something that makes more sense. So now we’ll get into an argument for each film, both positives and negatives. Starting with the least likely of the four, but one that’s garnered enough strength to still be considered, is Green Book. The film just took the Golden Globe for Best Motion Picture: Comedy/Musical, and swept up two other big wins that night for Supporting Actor and Screenplay. It was the most awarded film the night of the Globes. The film also picked up a win, again for Supporting Actor, at the Critics Choice Awards earlier this week, and it seems solid now that Mahershala Ali is the clear frontrunner going forward. However, this film has been, arguably, the most controversial of the Best Pictures-to-be lineup. Not only was Viggo Mortensen caught up in a controversy a month ago over the use of the n-word, but then the Don Shirley family came forward to claim that they were not consulted on the project, and that Mahershala’s portrayal of him was inaccurate. Not only that, but two more reports surfaced late last week about Viggo’s past on other film sets and that one of the film’s screenwriters, Nick Vallelonga, tweeted sympathy against Muslims for the 9/11 attacks, quoting a statement from Donald Trump that was falsified. These recent developments definitely hurt, and the film’s box office takings have been lower than estimated, but the feel-good nature of the film has been the beating heart for lovers of the film, including myself. I have it in fourth place for Saturday night, but it’s not impossible that this one pulls off a miracle win and launches itself back into the first position for the Best Picture race. Third place for me is The Favourite. Unfortunately, the film has had a few slip-ups in the early goings. It was nominated for five Golden Globes, but only took home one for Olivia Colman’s lead performance, and its only major win at the Critics Choice was for its Acting Ensemble. Still, the film has a likely shot to land the most nominations of any film on Tuesday when Oscar nominations are announced. Typically, but not always, the film with the most nominations tends to win at the Oscars, like The Shape of Water, Birdman, and The King’s Speech to name a few recent examples. And all three of those films won PGA in years of tight competition, and arguably all three of their PGA wins were unexpected, so keep that in mind. The film also has quietly made a small fortune at the U.S. box office — its current total is over $20 million. The PGA loves it when its winner makes money at the box office, something almost every winner in the last two decades has proved. It’s not the biggest moneymaker of the nominees this year, but making a splash with the independent crowds can help you cross the finish line. Again, it’s not exactly the favorite for Saturday night, but I’m not gonna walk away awestruck by a win for Yorgos and co.
Now we’re down to Roma and A Star is Born. Again, both films have their positives and negatives. Starting with Roma, the film itself is not exactly an easy watch for voters. For myself included, the first hour and a half, roughly, is a slice of life picture that is far from the most entertaining thing you’ll see in a movie this year. The day-to-day life of Cleo, as depicted in the film, is far from riveting, though that’s the point of the film: to make you comfortable with her and her lifestyle, then to throw it all into chaos in the last act. Specific voters may not enjoy this fact, and may give up on the film before the ending comes around and not vote for it. I won’t spoil anything further, but what makes Roma so special is the storytelling, execution, and acting performances given in the third act. Also add to it that Roma has been a favorite for dozens of critics awards, won two Golden Globes for Director and Foreign Language Film, and had two top wins at the Critics Choice Awards for Director and Picture. Again, though, going back to the money argument, Netflix has not released any official box office returns for the film’s limited run before launching on the streaming site. Estimates are in the $1-3 million range in the U.S. And there has been a bias against streaming films in the past, specifically from the Academy Awards, but the PGA hasn’t been kind, either. Two of Netflix’s biggest Oscar pushes in the past, Beasts of No Nation and Mudbound, both failed to earn PGA nominations, so there is an argument to be made that the same bias exists, though in smaller form, within the voting body of the PGA. Still, as Netflix, Cuaron, and the film itself have proved this year, it’s time to break down the barriers for the non-streaming fans. Also, recent U.S. tensions over a border wall between the States and Mexico only adds fuel to the fire for this film’s chances to win. So again, there’s a lot going on that must be talked about, both good and bad, for the film’s chances going forward. Lastly, there’s the third remake of A Star is Born. The film certainly seemed like a frontrunner after it wowed audiences at the early festivals, and especially after its opening in October, and it’s still crushing with $203 million and counting at the domestic box office and now over $400 million at the worldwide box office. That, unfortunately for Warner Brothers, is the biggest argument to be made for this film’s chances to win PGA on Saturday. The film has been nothing short of a jaw-dropping disappointment this awards season. 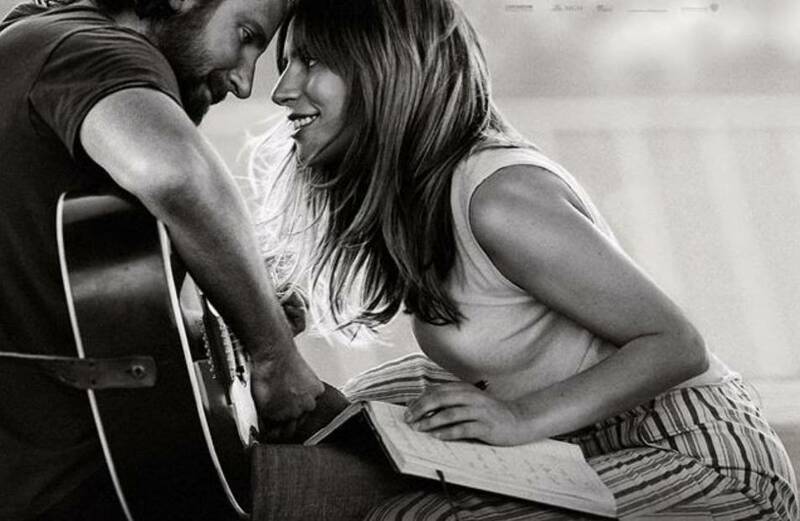 Out of five big nominations at the Globes, where it felt like it had the easiest chance to win big, it only took home one win for Best Original Song. It repeated that feat at the Critics Choice, and tied for Best Actress, but again it lost the top category there, too. And I’ve been falling for it the past two times myself. It will be one of the more nominated films Oscar morning, but the same argument will be made for Roma, and I feel these two and Black Panther will be in a race to have the second-most nominations, behind The Favourite. Sure, the film landed two DGA nominations, and it has a shot to be the winner at the SAG awards for Outstanding Cast, but losing PGA this late into the game may be too much for the film as is. A SAG and PGA win would bring the film back around, and it can’t lose for that First Time Director award at the DGA, so it technically has a win there, and while it may not be a big player at WGA or BAFTA, getting a lot of gold from the guilds may buy it’s way back into the Best Picture race. So my official prediction, despite the order I’ve listed these four films, is Roma. I think it’s running on a wave of momentum from two big Globe wins, a total of four wins at Critics Choice, the most of any film there, and the recent political situations happening right at the doorstep of the country this film depicts. I must re-emphasize that any one of these four films has a solid shot to win PGA, but sometimes these races are all about momentum. Right now, in that column, everything is pointing toward Roma. While I’ve been accurate on some categories this year in these early precursors, one thing I keep missing is the top category, both at the Globes for the Drama race and at Critics Choice, so maybe now that I switch, I’ll still get it wrong and something else wins, but for now, I’m not betting against Roma until I have to. Currently a student at Minnesota State University Moorhead. From Harlan, Iowa. Film enthusiast. Enjoys time with family and endlessly speculating on franchise films and Oscar season. Previously published on GoldDerby and Movieblogger. Where does Roma rank amongst Alfonso Cuarón's best movies to date?